History never fails to surprise and amaze me. 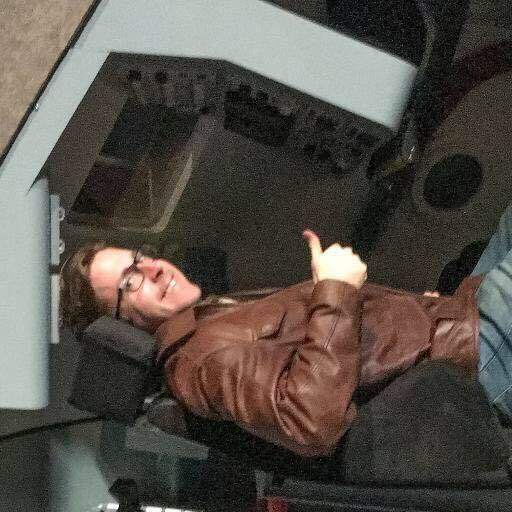 While there is serious talk today regarding the logistics of setting up a lunar base and whispers of Bigelow Aerospace pushing their inflatable habitats as the right modules to compose one, I was awed and humbled when I recently learned that we’ve done this research before. Half a century ago, in fact. In short, Project Horizon was nothing less than visionary. (While it proposed the creation of a military base on the moon, we should be reminded that this was two years prior to the creation of NASA, and the military was the only place to find rockets of any sort.) According to the project’s projections, a small logistical space station would be constructed in Earth orbit using spent rocket tanks, and the lunar base would have been constructed of simple, pressurized cylindrical metal tanks, with the program requiring approximately 140 SATURN rocket launches during the course of three years. The project is exhaustive, defining with striking clarity the equipment and astronaut tool requirements to accomplish the work, space transportation systems and ideal orbits for them, lunar habitat design requirements, and even new launch sites from Earth to optimize the program. Most impressive is the fact that it looks like they could have actually done it for the cost they proposed, which was just less than two percent of the annual US military defense budget of their time. Provide an emergency staging area, rescue capability, or navigation aid for other space activity. Serve as the technical basis for more far-reaching actions, such as further interplanetary exploration. October, 1963 – SATURN I rocket program is operational, and launches of Horizon orbital infrastructure material and equipment begin. Construction begins on an austere space station with rendezvous, refueling, and launch capabilities only (no life support), which will allow larger payloads to be delivered to the moon. Astronauts working on assembly at the space station will live in their earth-to-orbit vehicle during their stay. A final lunar outpost candidate site is selected. December, 1964 – SATURN II rocket program is operational, and a total of 40 launches have been conducted in support of Project Horizon so far. Construction of a second refueling and assembly space station begins using additional spent rocket stages, which can accelerate orbital launch operations. The first space station is enhanced with life support capability, allowing for longer astronaut stays (if desired/necessary). January, 1965 – Cargo deliveries from the space station(s) to the lunar outpost site begin. April, 1965 – The first two astronauts land at the lunar outpost site, where cargo and infrastructure buildup has already been taking place. (Their lander, it is noted, has immediate return-to-Earth capability, but only in the case of an emergency. These guys are intended to be pioneers until the advance construction party arrives.) Living in the cabin of their lander, the initial two astronauts make use of extra supplies already delivered to the site, while they verify both that the environment is satisfactory for a future outpost as well as that all necessary cargo has been delivered successfully. The length of this tour is at most 90 days. Cargo and infrastructure deliveries continue. July, 1965 – The first nine-astronaut advance construction party arrives. After a hand-off and requisite celebratory send-off, the original two lunar astronauts depart for Earth and the new crew begins Horizon’s 18-month outpost construction phase. Groundbreaking begins, as the crew uses previously-delivered lunar construction vehicles to move and assemble the previously-delivered habitation modules and manage future deliveries. Habitation quarters are established, small nuclear reactor electricity generators are placed in protective pits and activated, and the station becomes operational within the first fifteen days. Crews are kept on 9-month rotations, and cargo and infrastructure deliveries continue. December, 1965 – After six months of construction activities, the Horizon outpost is composed of several buried (for radiation and thermal protection) cylindrical modules as living quarters for the initial crew as well as a parabolic antenna station for Earth communications. The main quarters and supporting facilities are being assembled, which will also ultimately be covered with lunar regolith. Empty cargo and propellant containers are being used for the storage of bulk supplies and life essentials. The crew is brought up to a full twelve astronauts. December 1966 – Construction activities are complete, Horizon outpost is fully operational with a twelve-astronaut crew on staggered nine-month rotations. Capital expenditures have concluded, and funding is reduced to operations-only to allow secondary projects (Mars missions, etc.). 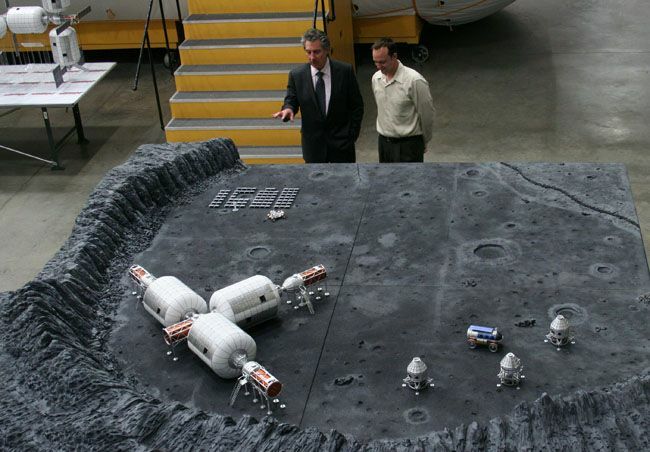 And yes, it appears that the soul of ol’ Horizon lives today in the heart of Bigelow Aerospace’s lunar ambitions. 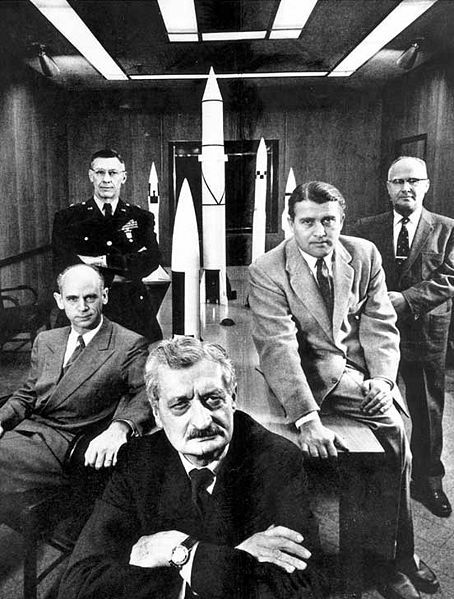 Let’s hope they can carry von Braun’s torch all the way back to the Moon.